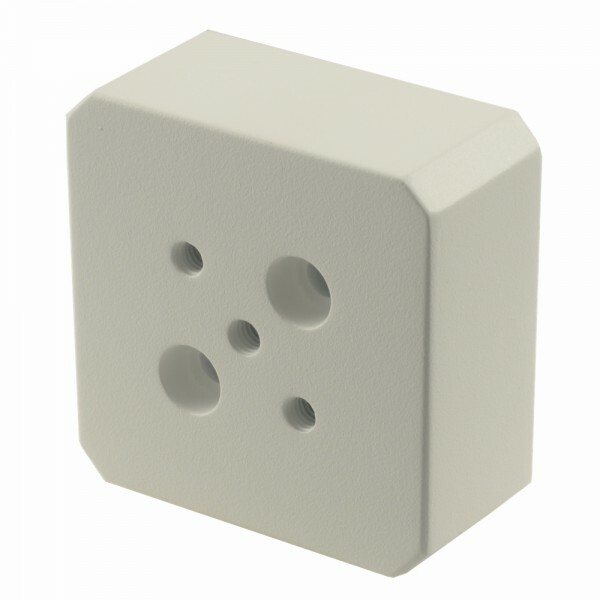 This Primaluce Lab PLUS 1kg counterweight is an important accessory to counterbalance your optical system. 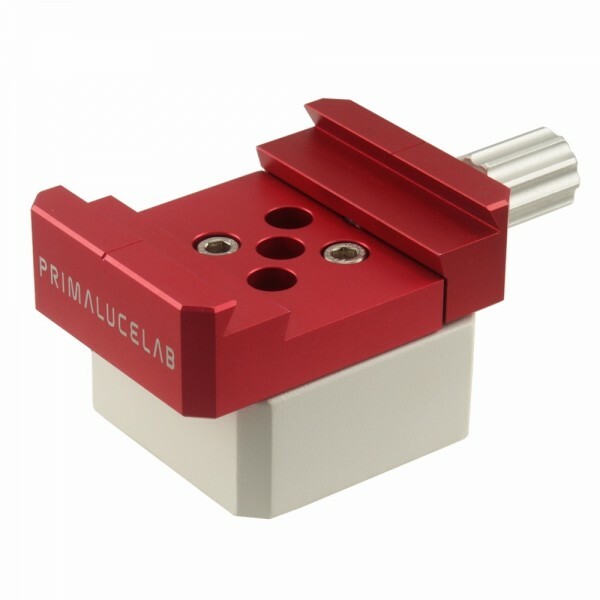 It is compatible with the Primaluce Lab dovetail clamp and provides an excellent way to offset an unbalanced optical system. It can be installed in the front or back end of the optical system on the Vixen or Losmandy dovetail bar. You can also install more weights by screwing them together with the supplied screws. Please note, this is just one single 1kg counterweight, you would also need a clamp to be able to attach it to a dovetial bar! 1kg counterweight (white one at the bottom) shown with OPTIONAL Primaluce Lab Vixen/Losmandy compatible clamp (red one at the top). Example: counterbalancing a heavy cooled dSLR camera. Sometimes it is easier or even necessary to use a counterweight when there is no other way to achieve correct balance. Images are for demonstration only. 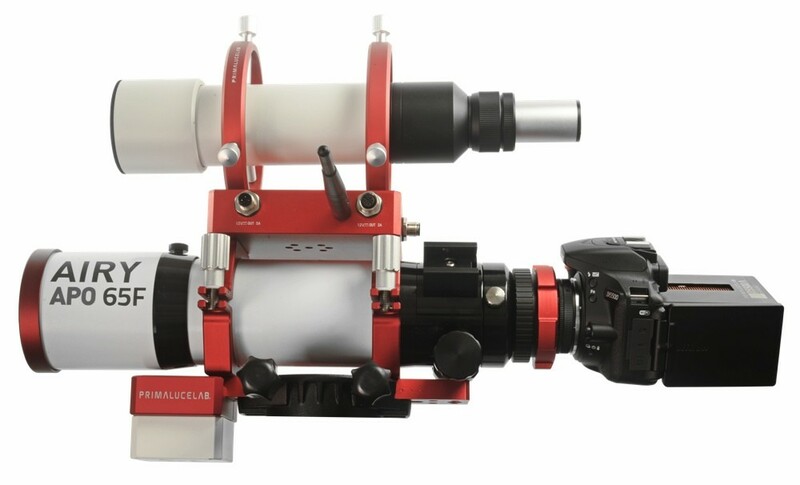 Telescopes, tube rings, cooled camera, guide camera, Eagle Core and clamp are only for demonstration; all available separately from our online shop.